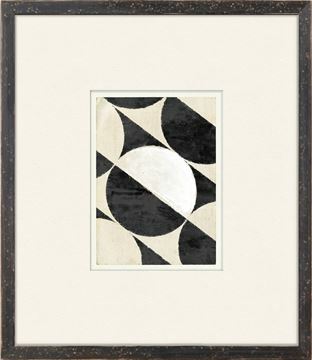 A series of 18 black and white geometric patterns. 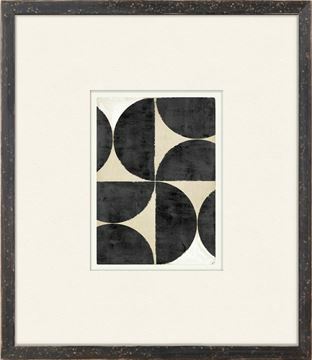 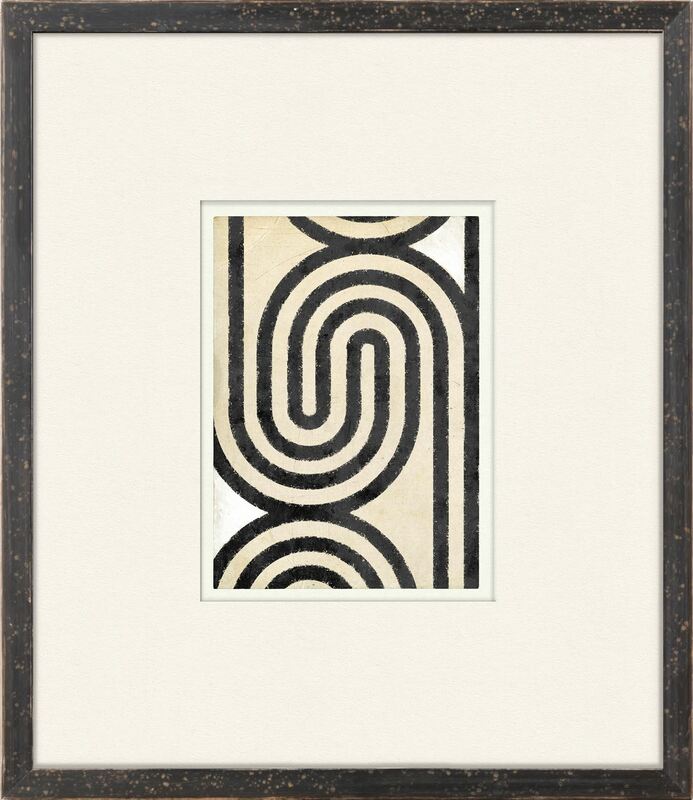 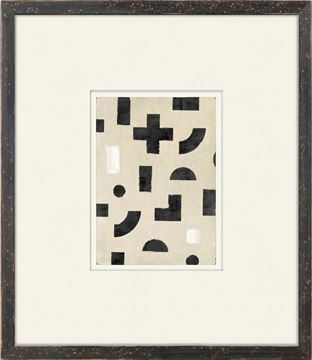 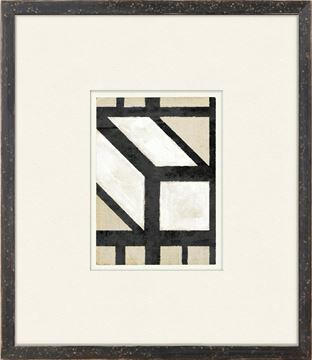 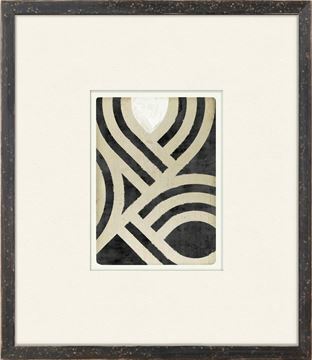 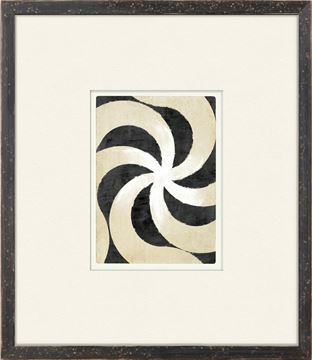 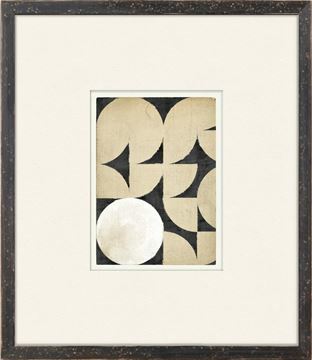 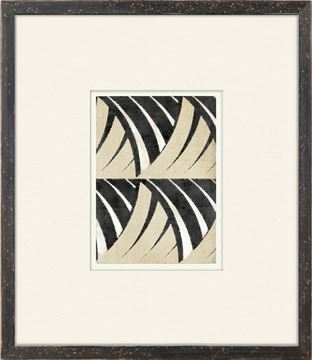 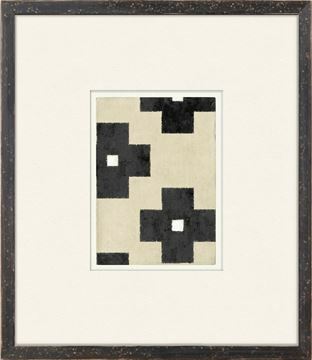 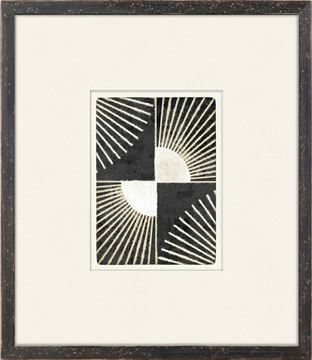 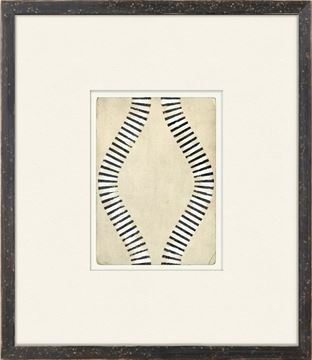 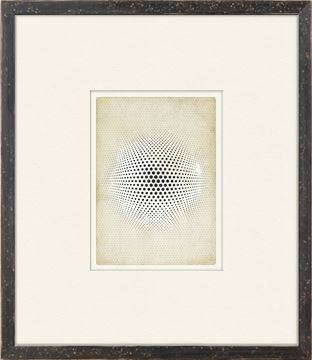 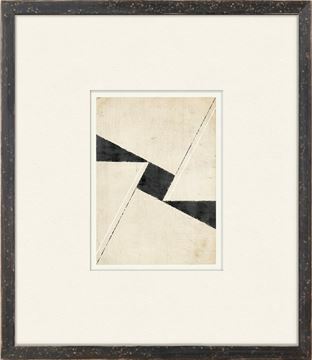 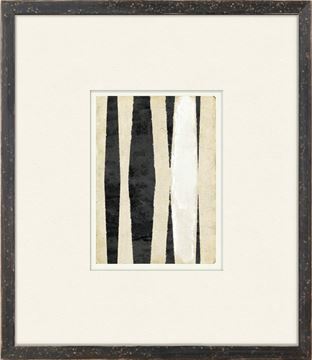 Each of these black and white geometric patterns is created on patinaed papers with the feel of mid-century graphics. 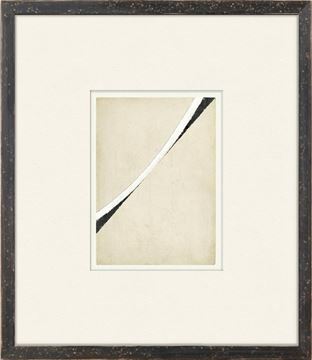 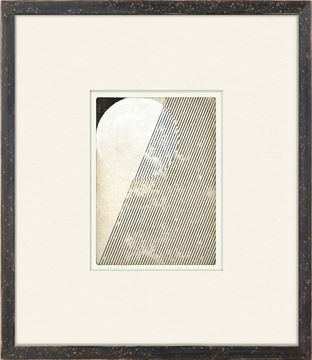 Framed with a wide mat and an antiqued black profile for a collector’s vibe. 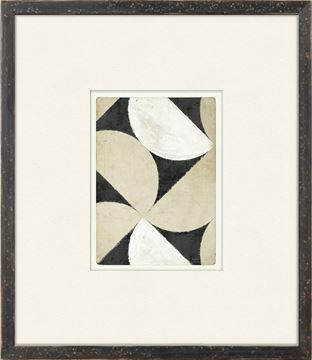 Use them as a whole or mix them up in your favourite gallery style hanging.